LEVEL 7 Supplemental Answer Book (identical to the LEVEL 7 Supplemental Workbook), Saves Time for Quick, Easy and Accurate Marking! UMT LEVEL 7 Supplemental Answer Book has been added successfully to your wishlist. The LEVEL 7 Supplemental Answer Book is easy to use and is identical to the LEVEL 7 Supplemental Workbook.Bonus - Free Resources - Videos for all music history listening activities in the workbook. LEVEL 7 Supplemental Answer Book features these concepts and more! The LEVEL 7 Supplemental Workbook is designed to be completed after the Intermediate Rudiments and LEVEL 6 Supplemental Workbooks. 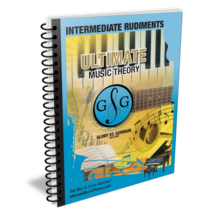 UMT Intermediate Rudiments Workbook plus the LEVEL 6 Supplemental = RCM Theory Level 6. 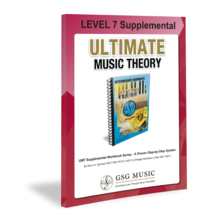 Note: Additional completion of the LEVEL 7 Supplemental Workbook = RCM Theory Level 7.
theory examinations including the Royal Conservatory of Music. Note: UMT Answer Books are available for ALL Levels. Intermediate Answer Book has been added successfully to your wishlist. 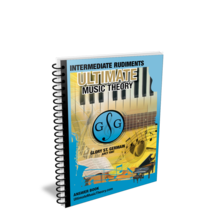 Intermediate Theory Workbook has been added successfully to your wishlist. UMT LEVEL 6 Supplemental Workbook has been added successfully to your wishlist. UMT LEVEL 7 Supplemental Workbook has been added successfully to your wishlist.